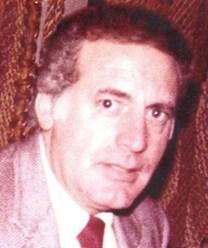 Joseph Patrick Giglio, age 79, passed away on Saturday, June 22, 2013. He was a Native of Brooklyn, New York, and a longtime resident of Metairie, La. He is survived by his life partner of 32 years Norma Schiffmann, his sons Joseph and John Paul, grandson P.J., his sister Flow, and nieces Patrice Antz and Paula Gotti. His friendly face could be seen at Nor-Joe Imports greeting customers for 17 years. He was a member of the Italian Bacci Club, and the American-Italian Association. He was a veteran of the U.S. Army. Throughout the years, Joseph and Norma loved to travel and go fishing. He was very well Loved and thought of by his family and friends. Joseph will be sorely missed. "Norma our prayers are with you and your family. Mr.Joe had a world of knowlege of the food business.He will be greatly missed. The Corpora Family"